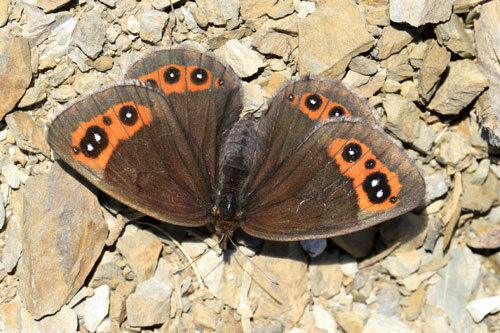 The largest Erebia in Europe. 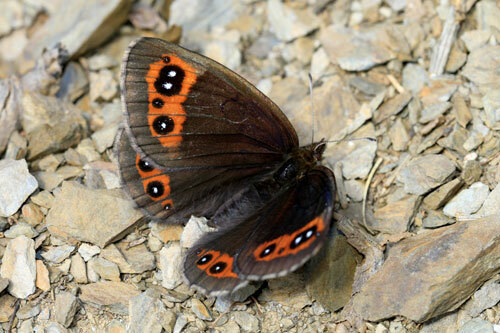 It is endemic to the Cantabrian Mts of NW Spain where it can be locally common. 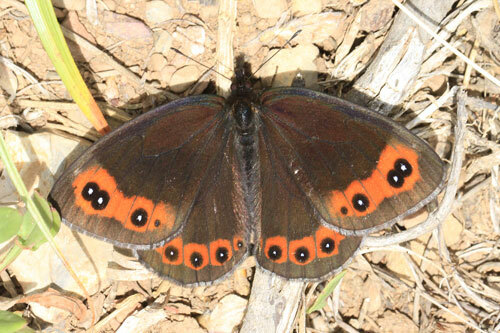 Identification & Similar species: Its size and broad bright orange markings with large bright and numerous eye spots make confusion with other species unlikely. 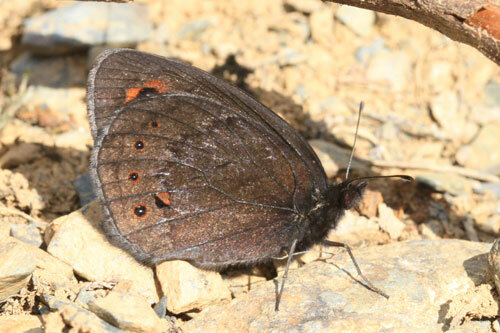 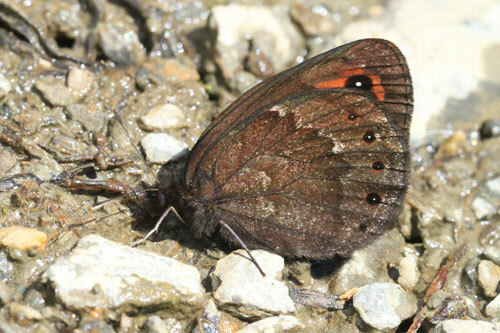 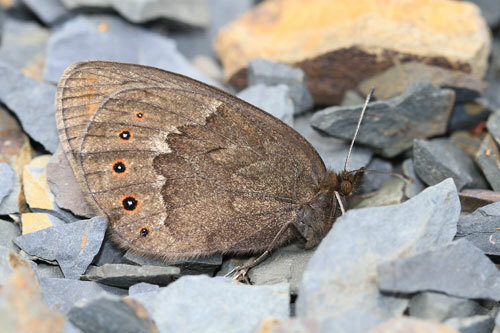 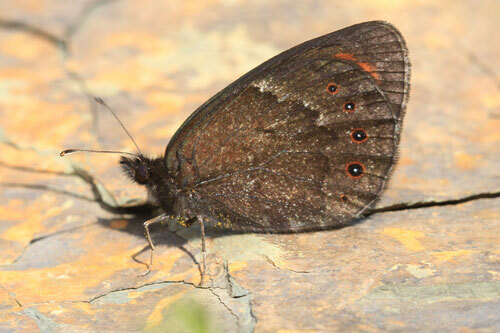 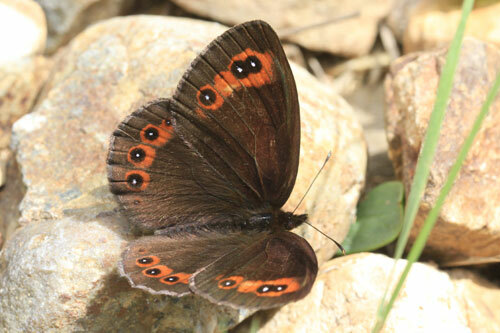 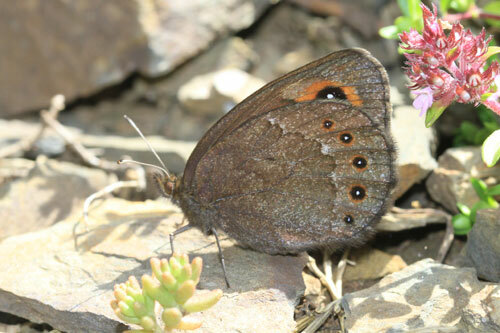 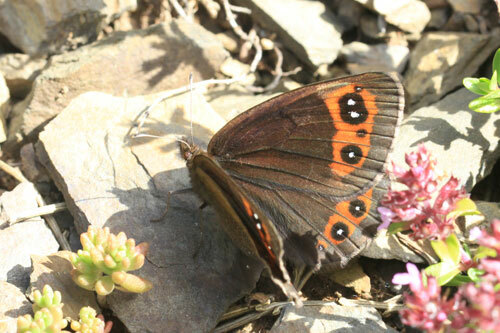 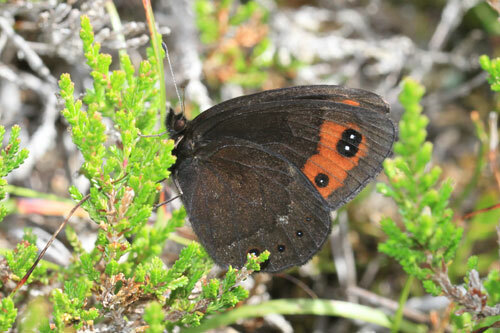 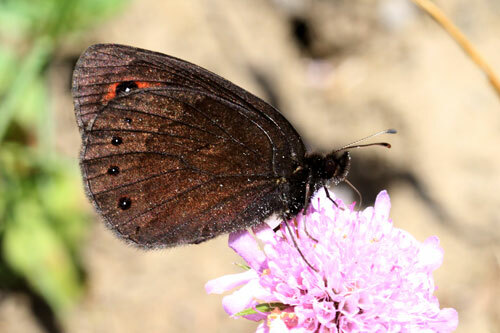 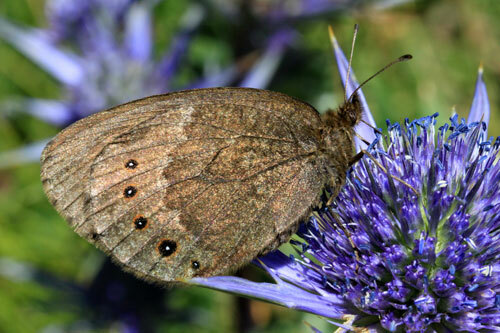 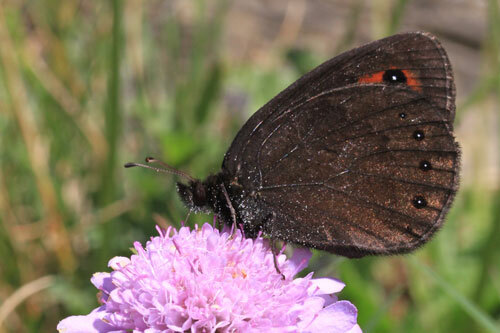 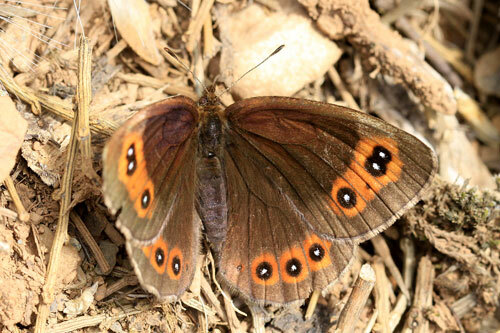 The Piedmont ringlet E. meolans is similar. 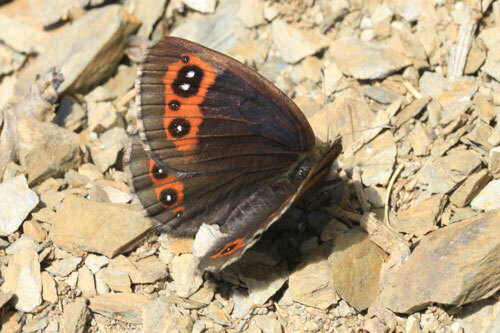 Distribution & Flight: Only found in the Cantabrian Mts of NW Spain. 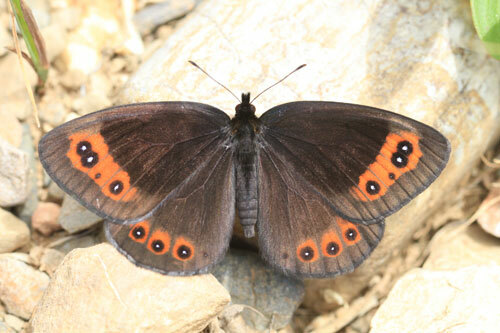 It flies early in the year for an Erebia, appearing even at the end of May and flying to the end of July. 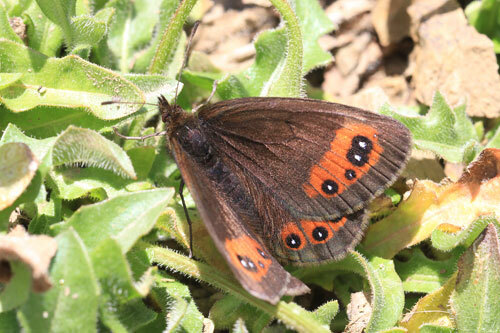 Habitat & Behaviour: Grassy meadows amongst scrub, notably broom. 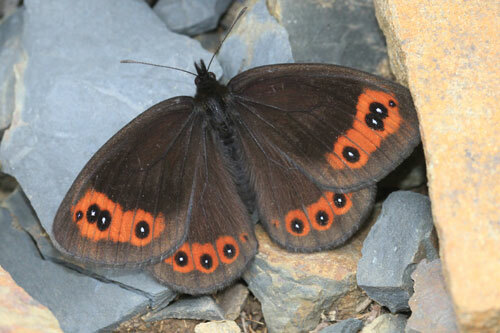 Frequently rests in bushes and also on bare ground.